Once, Jessie Moore had inexhaustible energy for her art, but after this past year, her art – like her life – feels out of focus. Working at the fledgling Philly Times newspaper with reporter Matt Cleary proves draining after their breakup. When a longtime friend dies of AIDS, Jessie travels to her hometown of Lambertville, NJ. 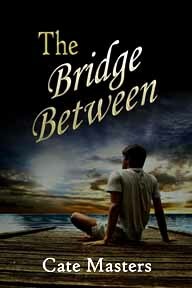 At the funeral, she reconnects with her first love, Billy Black, who becomes a bridge back to the safety of her old life, and also to the origins of her inspiration. But Billy’s more lost than Jessie. Too often, he drowns his worries in beer, threatening to drag her down too. After she rekindles their affair, Matt’s jealousy confuses her. Before she can truly give herself to anyone, Jessie must learn to be true to herself. She set her plate on the table, regretting she hadn’t turned her car around, that she’d ignored her basest of instincts. “If not dinner, it would have been something else.” He tilted his glass into his mouth until it was empty. This time, she didn’t argue, but paid closer attention to his voice, his face, his movements. They were all the same as the boy she’d known, yet somehow different, too. More complicated. The nuance in his gestures made for a level of intricacy, like a maze that had to be traversed before she could find the prize at the end – the real Billy, the Billy she’d loved. He was different, more complicated with life experience, but the same in his attitude, the easy way he’d always had. She wondered what did happen to him that made him so hesitant, especially of her – she who had held nothing back from him. Yet here he was, holding everything back from her. “Would you like me to leave?” She posed the question honestly, not as a challenge, not to intimidate him into a choice. She waited. She had the feeling he wanted to say more. So close to breaking through to the old Billy. But he withdrew, leaving her to guess why. Laying new roadblocks within the maze, to throw her off, or maybe to decipher how badly she wanted to reach the real Billy. His eyes brimmed with doubt. “Unless you want me to.” She couldn’t help smiling. It seemed a ridiculous game, one she normally loathed, but this time the prize was different. One that might be worthwhile. With her hand in his, she was out of her chair and in his arms as if she’d swam to him. 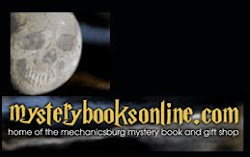 I also had fun putting together the Casting Call for this novel, set in my hometown of Lambertville, NJ. This morning, I am heading up to Pinchot State Park for my critique group's spring writing retreat. It's an event I look forward to, even when the weather promises to keep us all inside the cabins instead of out looking for inspiration among the trees. For the first time in a long time, though, I have only one project that I am working on, and I'm finding myself a little intimidated by the large block of time that will be available to me. As a wife and mother with a full time job, I've become accustomed to working in small chunks of time, and I find myself wondering if I'll be able to repave the neural pathways that allow me to concentrate on one thing for hours at a time. And then my blog rode in to the rescue. Since I took a blog workshop from Sarah Reinhard at the online Catholic Writers Conference a few weeks ago, I've found that my stream of blog topics has widened, and that ideas pop into my head on a more regular basis. When I rememembered that I have a blog to fall back on as "break" so that I don't waste the rare and precious gift of extended time to write, I suddenly felt less anxious, and more sure that my fellow writers wouldn't rally to kick me out of the cabin because I wouldn't stop talking when they were trying to write. Wishing you a sunny writing day inside despite the weather outside. I know I'm looking forward to mine. I'm excited that my contemporary romance, Going with Gravity, is now available on Amazon! Note that it now has a different cover. I requested the rights back because they expired this year, and have republished it on my own. I'll likely soon make it available on Smashwords also, but for now, it's here on Amazon. I'm pretty excited that the cover came out so well too. 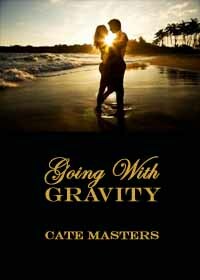 Cate Masters packs a lot of action, emotion and romance onto 57 pages. A wonderful writing style paints vivid images for the reader and encourages faster and faster page flipping until before you know it the wild ride is over and you're left wanting to read another one of her stories. Thanks so much Emma! I'm so glad you enjoyed it as much I enjoyed writing it. I also want to thank The Wild Rose Press for first publishing this story. The TWRP publisher and editors are all wonderful to work with, and I look forward to more releases with them. In fact, TWRP will release my short fantasy romance, Romancing the Hero - check my blog for details soon! Read the updated excerpt, reviews and more for Going with Gravity here (I still have to update the trailer though - time's too short these days). This is the first of several ebooks I'll self-publish after rights revert to me. Watch for more!